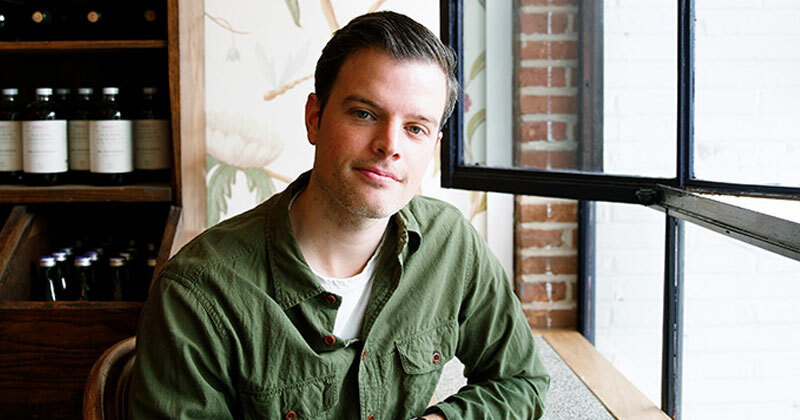 The Post and Courier spoke with RiverDogs Food and Beverage Director, Josh Shea, about the return of the Southern Kimchi Dog, formerly know as the Southern Kenchi Dog! 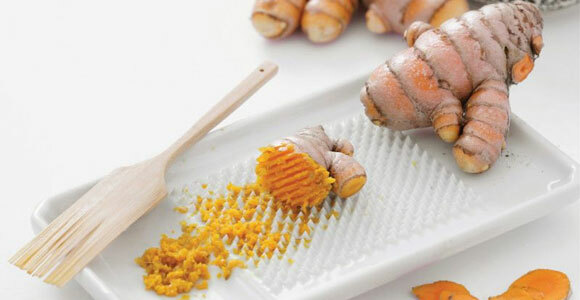 Our Turmeric Tomatoes were featured in an article on turmeric root entitled "Bright Addition" by Hailey Middlebrook in the April 2017 issue of Charleston Magazine. 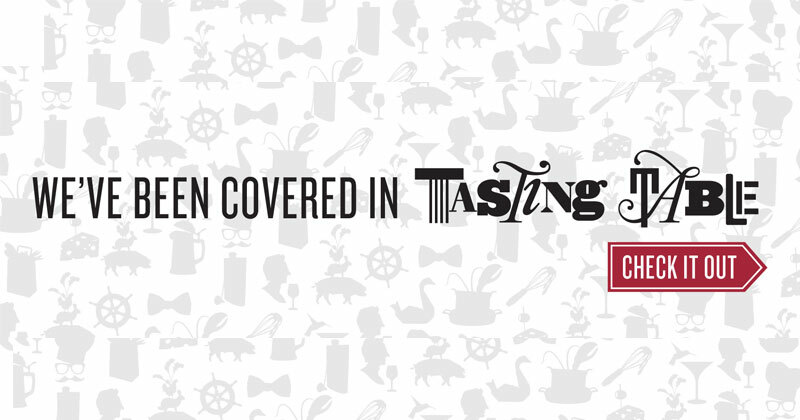 We were flattered to make Charlston restauranteur Brooks Reitz's short list of favorite things. 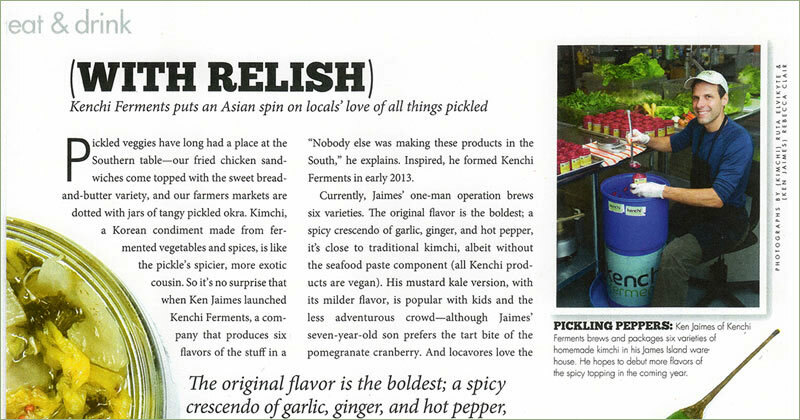 In his own words, Reitz (of Leon's Oyster Shop, Saint Alban and Jack Rudy Cocktail Co. fame), says, "I happened upon this kimchi, made by a local guy named Ken, at a little store called the Vegetable Bin. But then the Vegetable Bin closed (and has since reopened). We went to Whole Foods one day, and there was Ken, handing out samples of his kimchi. 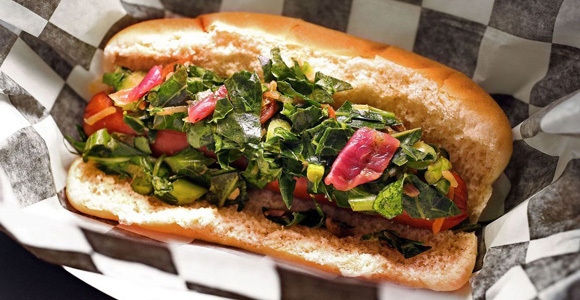 I put the mustard kale kimchi on salads, brown rice, everything." 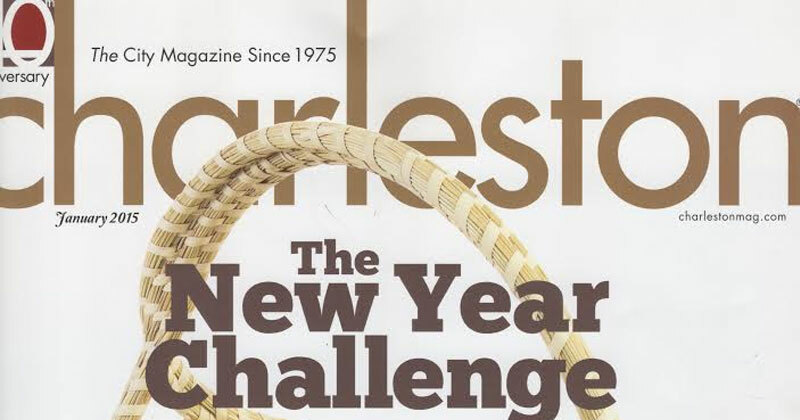 Kenchi Ferments was featured in the January 2015 issue of Charleston Magazine in an article by Jessica Green Smith. 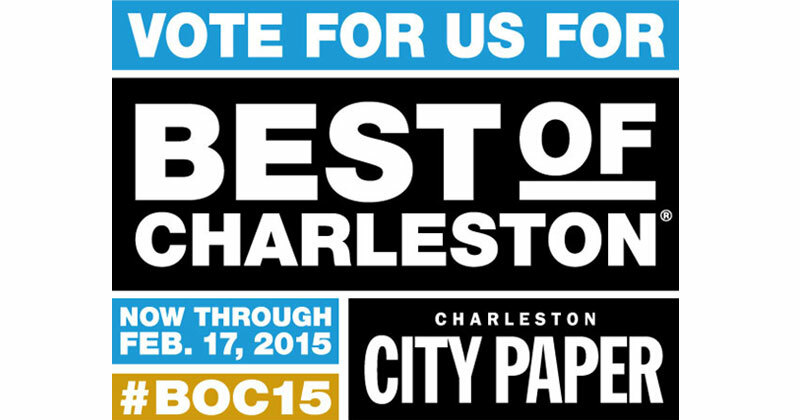 We were nominated by Charleston City Paper in 2015 for Best Local Artisan Food Product.